Since the inception of Obamacare and crazy high deductible health plans, Medicare looks better all the time. Did you know that Original Medicare plus a Plan F Medigap Policy supplies you with full medical coverage? This is usually at 1/3 the cost (or less!) of an under-65 individual or employer plan. (Prescription plan is purchased separately). Full coverage means you pay NOTHING when you receive medical services. Zero dollars out-of-pocket is virtually unheard of these days. Some services not covered by Medicare are a little more obvious, such as supplements, acupuncture, cosmetic surgery, etc. But what about those things that you’d think seniors really need, and should be covered? 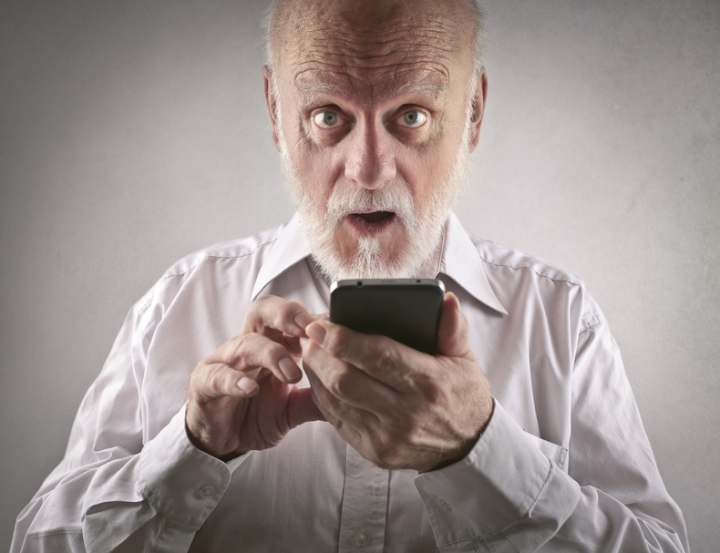 Here are the top 3 Surprising things Medicare does NOT cover. Even though Dental care is important to your health, it’s NOT covered under Original Medicare. 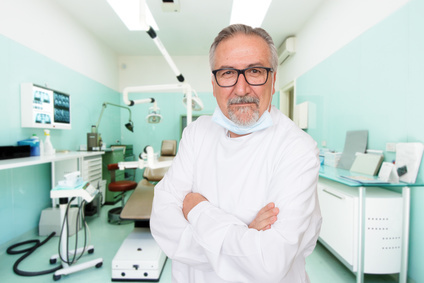 Medicare doesn’t cover most dental care, dental procedures, or supplies, like cleanings, fillings, tooth extractions, dentures, dental plates, or other dental devices. Medicare Part A (hospital insurance) will pay for certain dental services that you get when you’re in a hospital. Part A can pay for inpatient hospital care if you need to have emergency or complicated dental procedures, even though the dental care isn’t covered. Something just feels wrong about the fact that Medicare doesn’t cover dental services. At one time or another you’ve probably heard that poor oral health can be linked to increases in the occurrence of many other health problems and diseases. Oral health is an important but often overlooked aspect of an older adult’s general health. The following excerpts are real comments from Medicare Beneficiaries, taken from this dental care article (Caring.com) and truly demonstrate how badly your quality of life can be impacted from poor oral health! This topic is very touchy for me. I am not a senior, I am 42 but on Medicare because I have a disability…I have not been able to eat solid food except pasta and soup for over a month now. I have been on antibiotics for two months. I have 4 broken teeth in my mouth and an infection which I am sure is going into my bone. I no longer have the medicaid, just medicare now. I have no idea what to do. I am 68yrs, no dentla, on SS benefits of $814. a month. Luckily a couple of months ago I found out i qualified for food stamps ( about $35 a week)…I have 3 broken teeth, and really bad caviaties in most of my teeth, have not been to adentist since aourn 1996..just no money to do so. I have lived with a broken tooth and the root is still in the gum, just waiting to infect my body. I’m disabled with some major health problems. I have manage well to control my life, a major tooth infection might cost me my life. Where can we start to bring this to someone attention. I’m going to start making calls in Washington, then I want know if the news can help figure this out. Enough is Enough. What Are my best dental options? Your choices vary by state or region of the country. Options range from individual stand-alone insurance, to discount plans, or assistance programs provided by through government or non-profit organizations. Medico is an Insurance company headquartered in Omaha, NE and offers one of the best plans for the price. The dental plan includes vision and hearing coverage. Covers 80% of dental, hearing and vision claims (after deductible) by the THIRD year. Here’s a sample brochure with benefits and pricing: Medico Dental Brochure, FL. Leave a comment below or contact us to find out if Medico offers a plan in your state. While I don’t have direct experience with Delta Dental, they are a reputable company and are branded with the trusted AARP name. The dental discount plans offered by DentalPlans.com are a wonderful option for you if you want to save on premium dollars, or just can’t wait an entire year waiting period before benefits kick in. These plans work with specific dentist networks. The price you pay is the contracted dentist’s fee. Have you ever noticed with past dental or health insurance that there is always a reduced contracted rate? That’s what you’re signing up for. You choose your plan based on what networks your dentist accepts (not the other way around)! You can request a detailed accurate fee schedule before enrolling. Start here by entering your zip code and viewing annual membership pricing and sample fee schedules. When you do the math, and compare with a plan that requires a waiting period, you might find this option could really save you money. I have years of experience with Anthem Extras in the state of California. This plan covers dental and vision, along with a Silver Sneakers gym membership. Anthem Extras also has waiting periods for major services, as do most dental plans. If you know you will use both the dental and vision benefits and need a gym membership, this could be a wise investment. Here’s a downloadable brochure to check out the plans, benefits and pricing: Anthem Extras, CA. As a senior, what dental options have worked for you? If you have found a solution in your area of the country we’d love to hear it in the comments below! (*disclaimer – Ally Senior Benefits is a contracted broker with Medico, Anthem Extras Plans, and DentalPlans.com. We are not affiliated with Delta Dental). Even though vision is one of the first things to decline as you age, most vision care is NOT covered by Original Medicare. 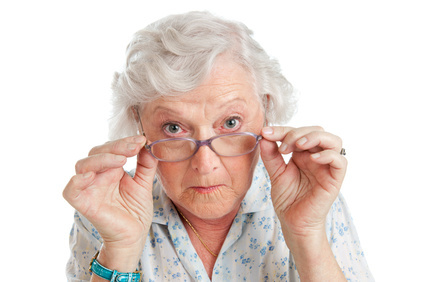 Furthermore, Medicare doesn’t cover eyeglasses or contact lenses to correct vision. Medicare ONLY covers glasses or contacts following cataract surgery that implants an intraocular lens. The need for reading glasses increases as early as age 41. Proper vision is so necessary for happiness and well being! (Not to mention the increase in safety)! If you skimp on eye exams and new glasses, it can lead to more falls and accidents in general. What are my best Vision Options? An individual Vision Plan through a broker. Prescription glasses from some online stores as low as $7 (See zennioptical.com, goggles4u.com, eyebuydirect.com). Medicare Advantage. While I wouldn’t recommend considering a Medicare Advantage plan based solely on supplemental coverage like dental and vision, some Medicare Advantage plans could provide this solution for you. As a senior, what vision options have worked for you? Hearing is just as important, if not more important than vision and dental health, to happiness and well being as you age. Despite this, Original Medicare does not cover Hearing care. Medicare doesn’t cover routine hearing exams, hearing aids, or exams for fitting hearing aids. According to The Centers for Disease Control and Prevention, a third of older Americans are hearing impaired. Hearing problems contribute to feelings of isolation and increased depression. Hearing problems can also contribute to more accidents. In a study published by the journal of the American Medical Association, there’s a suggested link between hearing loss and cognitive decline. Because of this lack in coverage, many seniors who desperately need hearing aids go without. 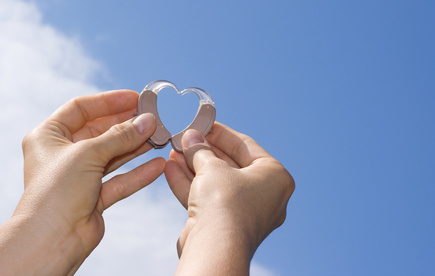 Hearing Aids can cost $4,400 a pair on average, according to a Hearing Review survey cited by AARP.org. Congresswoman Rep. Dingle Dingell of Michigan has introduced a bill, H.R. 1653, called the Medicare Hearing Aid Coverage Act of 2015. This legislation holds the key to improving the social and emotional impact hearing loss has on our aging population. What are my best hearing Options? Some of the same resources that applied to vision coverage may also help with obtaining hearing aids. –Sertoma.org is a civic organization dedicated to hearing health. They have an extensive resource page of organizations that help the disadvantaged obtain proper hearing aids. (source- Thanks to this article by SavvySenior.org’s Jim T. Miller). The only stand-alone plan (not a part of a Medicare Advantage Plan) that I’m currently aware of is the Dental, Hearing, and Vision plan offered by Medico. If you are already enrolled in a Medicare Advantage Plan, your plan may offer some extra hearing coverage. If not, you could shop around for a plan that does provide extra help with hearing aids. Medicare covers a LOT, but still fails to offer much needed coverage for dental, vision, and hearing for seniors. The only coverage offered is very narrow in scope and limited to medically necessary procedures. The solutions talked about included discount retailers such as Costco or other online retailers, individual insurance plans for dental, vision and hearing, and finally, government, or other organizational programs dedicated to finding disadvantaged seniors help in these three areas. We’d love to hear your feedback on any solutions that have worked for you!